Cendrine never knew she wanted to be a photographer. She had always planned to be a teacher. And she did. She taught French for 13 years, then started teaching social media, too. In fact, she is the author of two social media books. How does a teacher even find photography? A little known fact about me: I used to fancy myself a photographer. I thought that one day I might even make a living from nature and travel photography. But here I am making a living writing and doing social media. And for all the fancy camera equipment I owned before the days of digital, now I grab one of my daughters' cameras when I need it in a pinch. 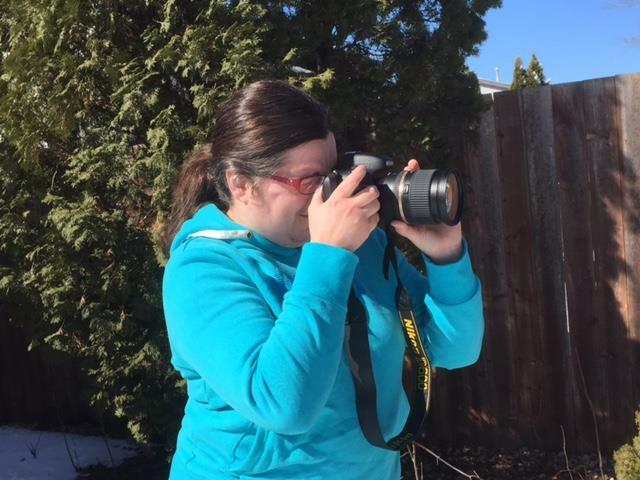 So, with just a splash of irony, I am profiling a writer, teacher and social media whiz who has been taking photography to somewhere between hobby and career. Manitoban Cendrine Marrouat is not even a Manitoban. Originally from Toulouse, I got the idea to profile her partly from photos of her homecoming tour that she posted on Dashburst and Tsu a couple months ago. How does somebody from Toulouse even find Manitoba? Cendrine was starting to feel like a professional student, so she knew she needed to shake things up a bit. "My best friend, a Winnipegger who was in Toulouse for a year at the time, suggested that I give Winnipeg a try. The only thing I knew is that Carol Shields had lived here -- I had studied The Stone Diaries as a sophomore. After my friend had returned to the 'Peg, I flew here and was instantly drawn to the place. I have never looked back since then. I'm the only one in my family to have left Europe." Cendrine never knew she wanted to be a photographer. She had always planned to be a teacher. And she did. She taught French for 13 years, then started teaching social media, too. In fact, she is the author of two social media books. How does a teacher even find photography? Seven years ago, on a trip to Syria, Cendrine decided to document her trip with an old point-and-shoot camera. Low-tech equipment sometimes yields high-powered results, as she explains. "A year or two later, I included one of the photos in an article on a now deceased blog. Someone contacted me to buy and use it in their magazine. Then, other people asked if they could purchase it too." That photo is Cendrine's very definition of a good photo: "A good photo tells stories." People love stories, which is why I tell stories when I write. 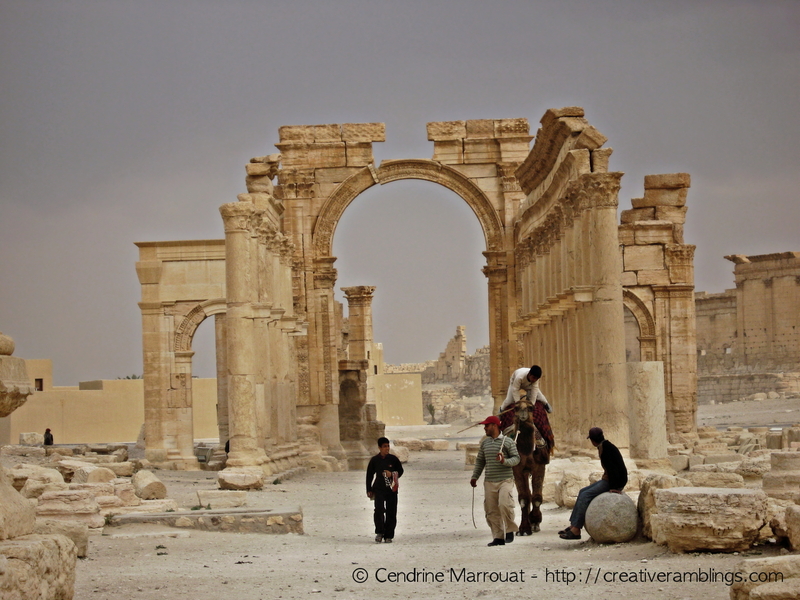 Cendrine's popular Syria photo tells stories, perhaps a different story to each viewer. Despite the success of that photo, and having previously sold others, Cendrine didn't realize the talent she has until she spent an afternoon taking pictures at the Dr. Sun Yat-Sen Classical Chinese Garden in Vancouver. Part way through the photo shoot, it hit her: " I suddenly realized that I could take decent pictures." Egged on by a fellow photographer, Cendrine started a photography blog a couple years ago. Her interest in nature photography is obvious by the photos she picks for her posts. I would take macros all day." 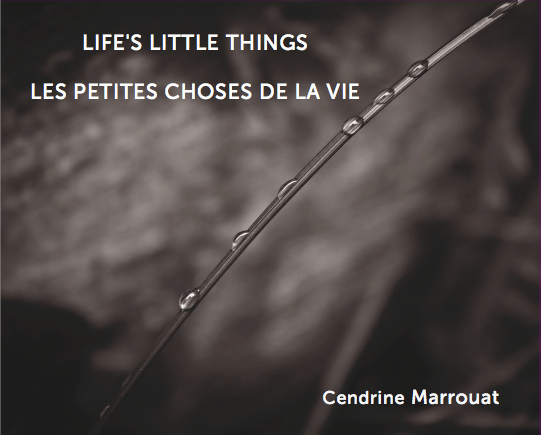 In fact, her latest book Life's Little Things - Les petites choses de la vie is a salute to her love of nature. And many of the photos are also a tribute of her love of her macro lens. 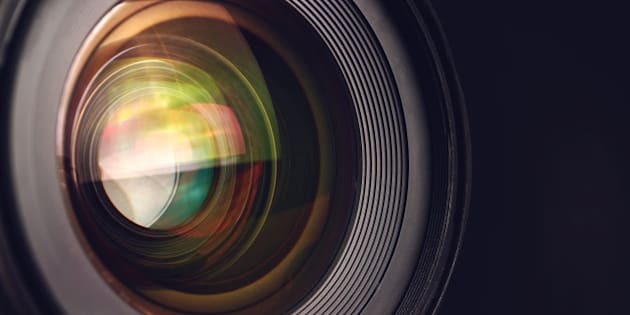 Taking great photos is one thing. Marketing them is another. A social media pro like Cendrine has an advantage. Just as she does with clients, she sat down with herself to develop a strategy. She became her own client. Her strategy has paid off. She has found an audience for her images. People have been open to social sharing of her photographs. After all, she is not selling insurance or plastic surgery. Art of any kind is easier to share, easier to accept, easier to talk about. All the more so when the art tells a story. She has found that if you show a "down-to-earth attitude', people will get into conversations about the photographs. In addition to promoting her two photography books, Cendrine is selling prints on platforms like Fine Art America, Redbubble, Society6, 500px and Design by Humans., as well as on her own blog. Maybe when the kids leave home, I'll get myself some new photography equipment. After all, I won't be able to rely on my daughters' cameras anymore. Photo #1: Rue de Rémusat (an important street in Toulouse, my hometown) - from Life's Little Things - Les petites choses de la vie. One of my favorite black-and-white photos. Photo #2: In Old Palmyra - I was amazed at how this photo captured people's imagination. It was the first photo I sold, and without even trying. The arch was destroyed by ISIS last year. A huge part of Old Palmyra was destroyed, so this picture is very special. 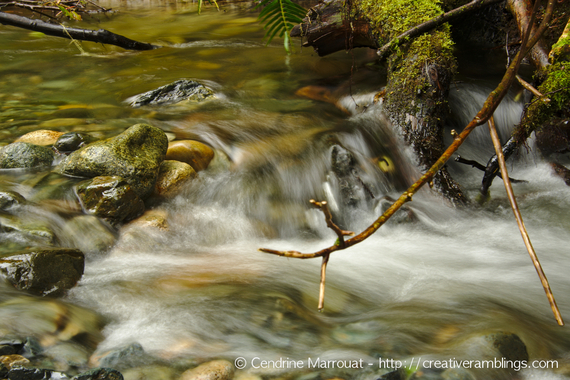 Photo #3: The brook - A long-exposure shot I took on Vancouver Island. There is something mesmerizing about the scene. I also find the colors quite amazing. I edited the photo only minimally. 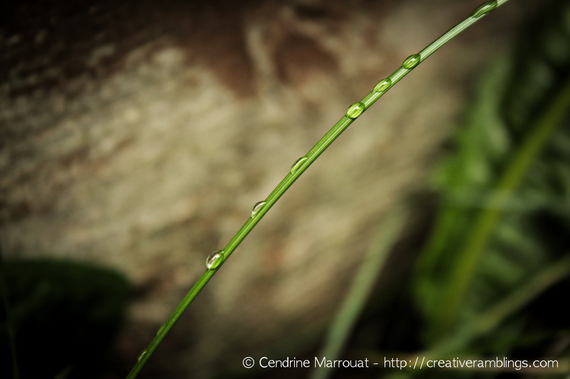 Photo #4: Droplets - from Life's Little Things - Les petites choses de la vie. I took it in my backyard right after a rain spell. It was an exercise in patience. The ground was muddy and the wind blowing. My tripod being too tall, I had to hand-held the camera. But, it's one of those pictures I was compelled to take. It still blows my mind today.